Great for use at home or school, Crayola Ultra-Clean Washable Crayons are an essential creative tool for kids. 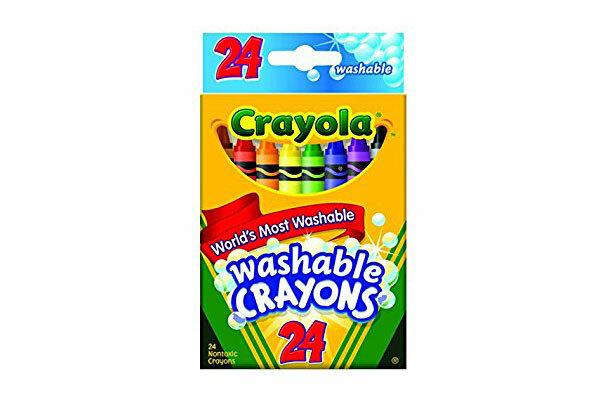 The 24 non-toxic crayons in this pack are specially formulated to wash clean from skin, clothing, and even painted walls. Featuring classic colors as well as bright, fun shades, they inspire self-expression and imaginative play.